A very popular image which I painted twice. 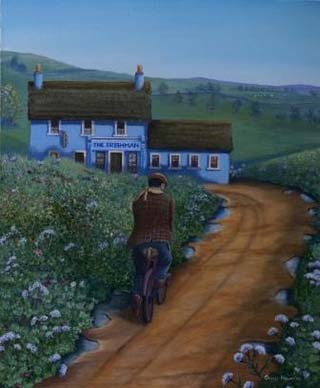 The stimulus came from a photo I took while travelling in Ireland when I spotted an Irishman riding his bike up a country road. Later I spied his bicycle leaning against the wall of a country hotel.